Discussion in 'Sculpture and Makeup Effects' started by Monteburns, Oct 20, 2011. 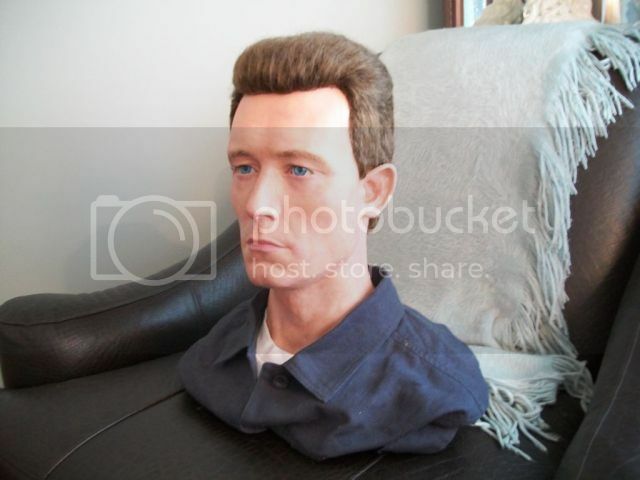 I recently finished my Robert Patrick T-1000 Terminator lifesize bust. I plan on making it a lifesize display with chrome hook arms once I get around to it. I added prop eyes, wig, eyelashes & hand laid the eye brow hair. I recently tweaked his hair since I originally listed this. It needed to be thinned on the sides more & slightly receded. 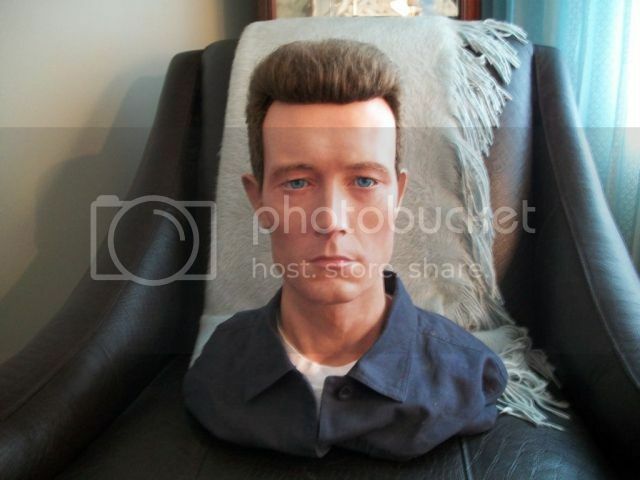 I need to get better eyes that are the proper grey color & finish making the lifesize T-1000 display which is a work in progress. Very nice work. I'd love to see the full display piece when it's completed. Thanks for the positive complement on the paint up. I will make the body a winter project & post pics once finished. Getting a quality replica metal LAPD badge will be a real challenge. 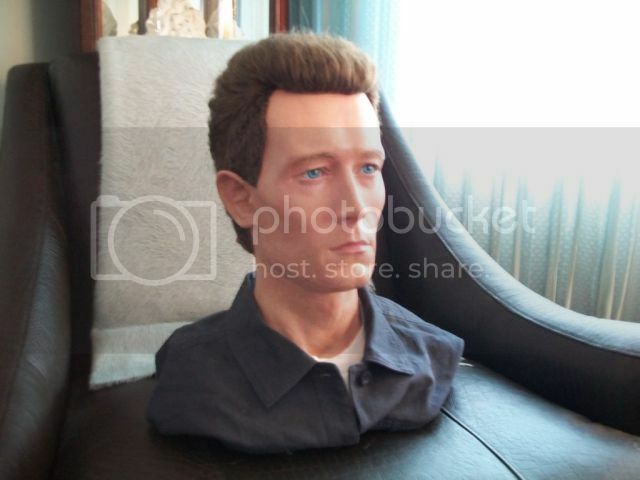 Need to finish as the lifesize. Will update when I am done.